"The world is not in your books and maps. It's out there," says Gandalf the wizard to Bilbo Baggins in Peter Jackson's movie, The Hobbit — An Unexpected Journey. Thanks to being the filming location of The Hobbit and The Lord of the Rings trilogies, New Zealand has become synonymous with the stories' mythical lands, in particular, Hobbiton, which houses the iconic, round-doored hobbit holes. Like Bilbo, who was nudged by Gandalf to venture from his cosy home, perhaps it's time for you to embark on an adventure to explore the rest of this spectacular country as well. To create your own epic, unexpected journey, embark on it in winter (June to August). It is the best way to escape Singapore's hot weather, and you don't have to wait till the year-end to find your surreal winter wonderland. Even if you are not the adventurous sort or have never tried a snow sport, there are plenty of fun things you can do as well, whether is building a snowman, leaving your footsteps on enchanting landscapes or going on foodie trails. Capture the scenic view of Milford Sound in Queenstown. If you must make your social media friends gasp in awe at your photos, be assured there is plenty of breathtaking scenery worthy of your own movie — the landscapes of New Zealand seem to be made for blockbusters. Take your pick from geothermal valleys and glacial lakes to rustic coastal villages and dramatic mountain peaks. If most of your friends have heard of the Northern Lights, be the first to catch the Southern Lights (Aurora Australis) instead. The best time to see them in New Zealand is from March to September. 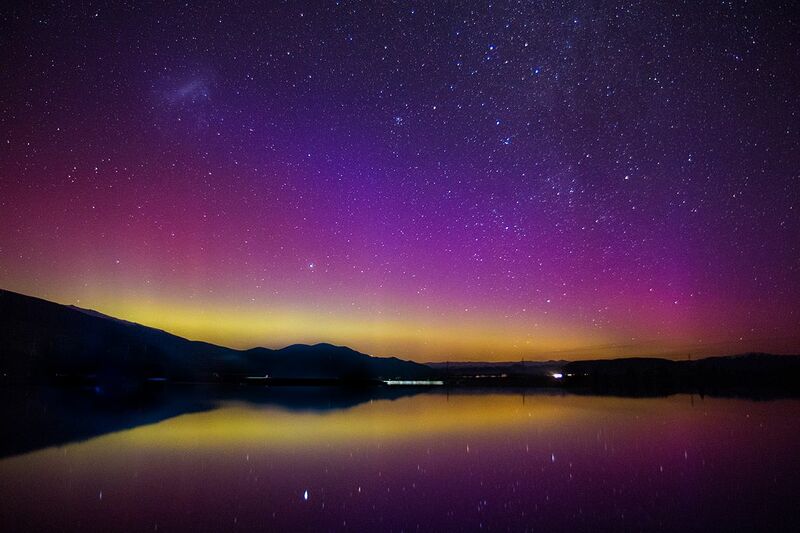 Catch the Southern Lights in Twizel in the Mackenzie District. Every year, Queenstown in the South Island holds a Winter Festival to celebrate the start of New Zealand’s winter and ski season. Iconic events at the carnival include the Dog Derby (a race for dogs and owners) as well as competitive mountain exploits, comedies, fireworks and polar lake plunging. The 2019 festival is from June 20 to 23. 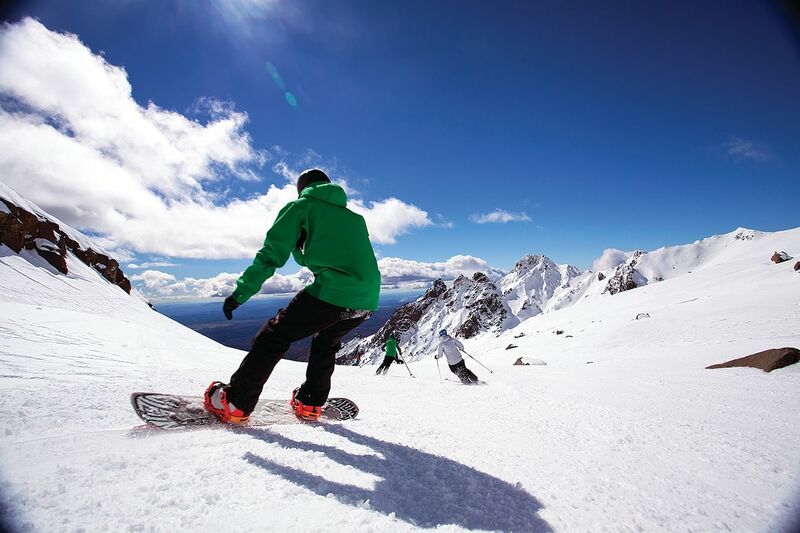 Head to the North Island's winter playground of Mount Ruapehu, which comprises New Zealand's largest ski area and Happy Valley Snow Park, which has one of the nation's best ski and snowboard areas for beginners. Go for ski and snowboard lessons, try sledding, or take a chairlift ride to New Zealand’s highest eatery, Knoll Ridge Café, to chill out with a scenic meal. Other fun things to do nearby include jet boating and dipping in geothermal hot pools. For snow sport enthusiasts of all levels, some of the best ski regions include Mount Hutt, Queenstown and Ohau in the South Island. The excellent terrain and high-quality snow may turn you into a champion in no time. Head to Mount Ruapehu's winter playground for ski and snowboard lovers. If you keep thinking about what to eat, no worries. There are gourmet trails just for foodies like you, where you can wine and dine in style — from cafés to bars to restaurants — to reward yourself for going on this journey. Think of being in a magical frosted land where you spend your leisure time in cosy restaurants, feasting on oysters, gourmet cheese and good wine — a bit like a hobbit, actually. Seafood lovers, New Zealand is the ideal place for fresh seafood, especially oysters. Indeed, the most prized of these molluscs — Bluff oysters — are found at the southernmost tip of the South Island near the seaside town of Bluff, hence their name. The best time to dine on these delicacies is from March to August. 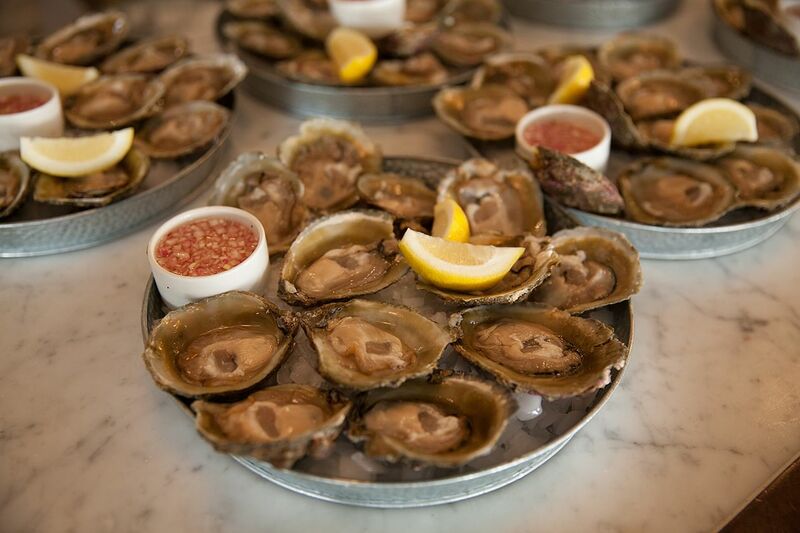 Don't miss the annual Bluff Oyster and Food Festival 2019 on May 25, which is held, of course, in Bluff. New Zealand is a cheese lover's haven. But don't just sample the cheese; go and visit award-winning cheese factories, meet artisan cheese-makers, view the handmade process and take up a cheese-making course. Waikato in the North Island is home to many of the country's best-established cheese makers. Enjoy luxury wine experiences in locations with panoramic views ranging from coastlines to lakesides. Unwind with wine tasting, appreciation classes and cellar excursions. Notable regions to visit include South Island's Marlborough (the largest wine-growing region in New Zealand) and North Island's Hawke's Bay (the country's oldest wine region). Indulge in fresh oysters in New Zealand. And of course, if you want an action-packed adventure, the whole land is yours to explore. You don’t really have to rough it out because, unlike the hobbits, you have easy access to creature comforts. You can venture to different regions in New Zealand easily by car, train, coach, plane or ship. 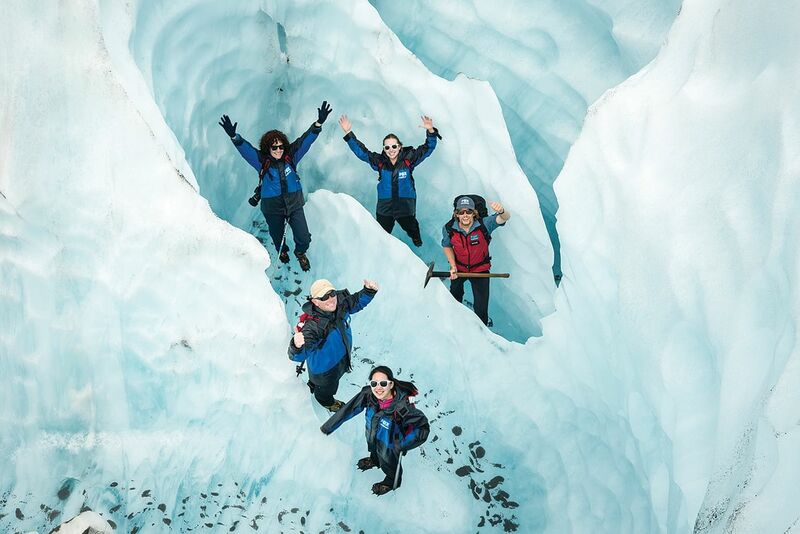 For a truly exhilarating winter adventure, opt for the Fox Glacier Heli Hike tour, where you take a scenic helicopter flight, land on the glacier, and go on a three-hour guided hike through the most spectacular formations of the icescape. 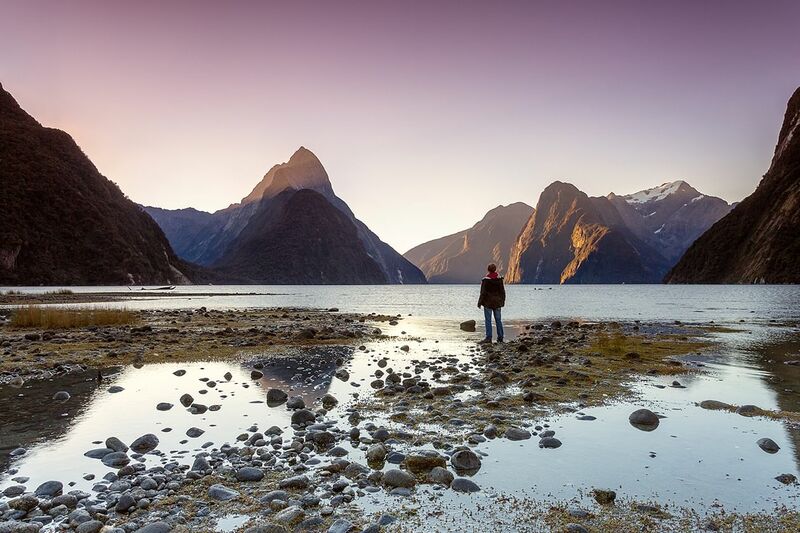 Wherever you choose to explore, your epic journey in New Zealand will definitely be magical and memorable. As Gandalf tells Bilbo before his journey: "You’ll have a tale or two to tell when you come back." 1. More flight options: You can choose from two airlines on a round trip. Christchurch — Singapore Airlines (non-stop daily), Air New Zealand (non-stop five times a week from Dec 1, 2019 to Feb 22, 2020). 3. More convenience: You can enjoy seamless connections to 20 domestic destinations within New Zealand. This article was sponsored by Air New Zealand and Singapore Airlines.